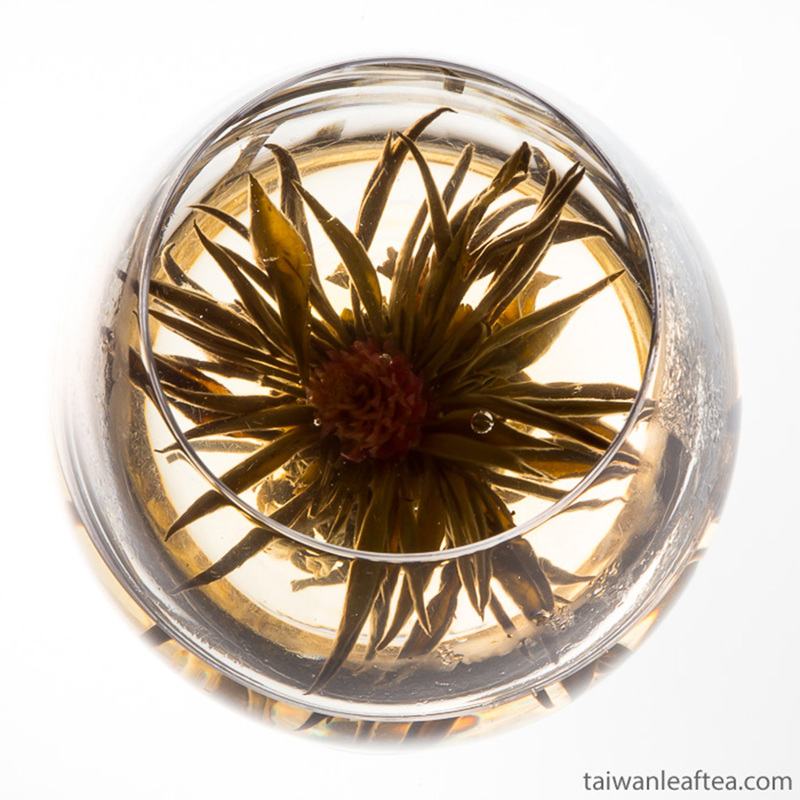 When brewed the blooming tea ball will slowly open, giving the appearance of a blossoming flower. Flower fully opens in pot in 7-8 minutes. 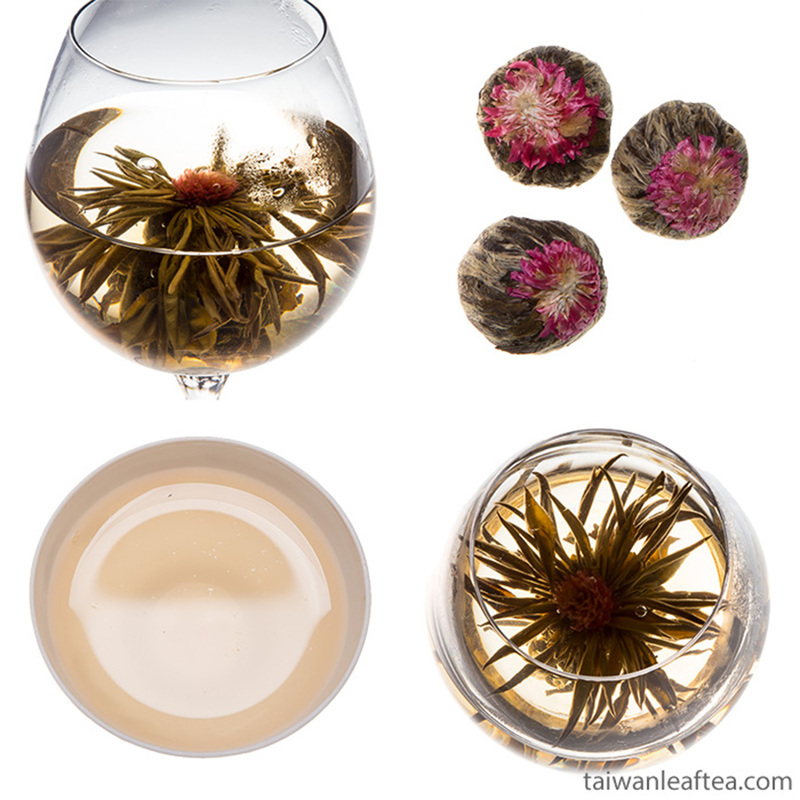 This tea is usually served in teapots of glass or other transparent material to enjoy the effect of the opening and flower blooming. 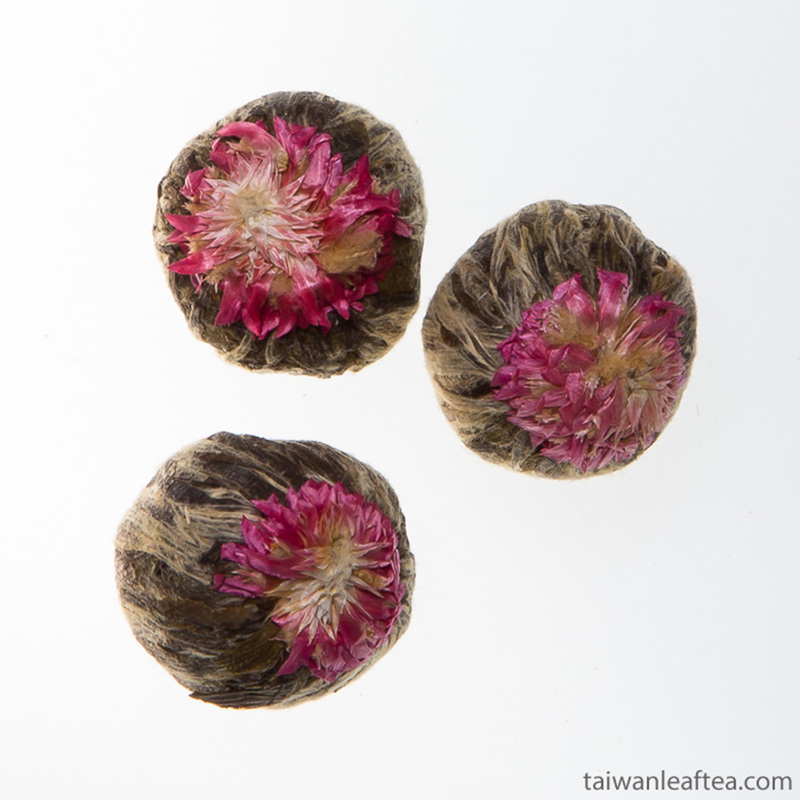 Leaves: leaves and flowers are combined and then dried. 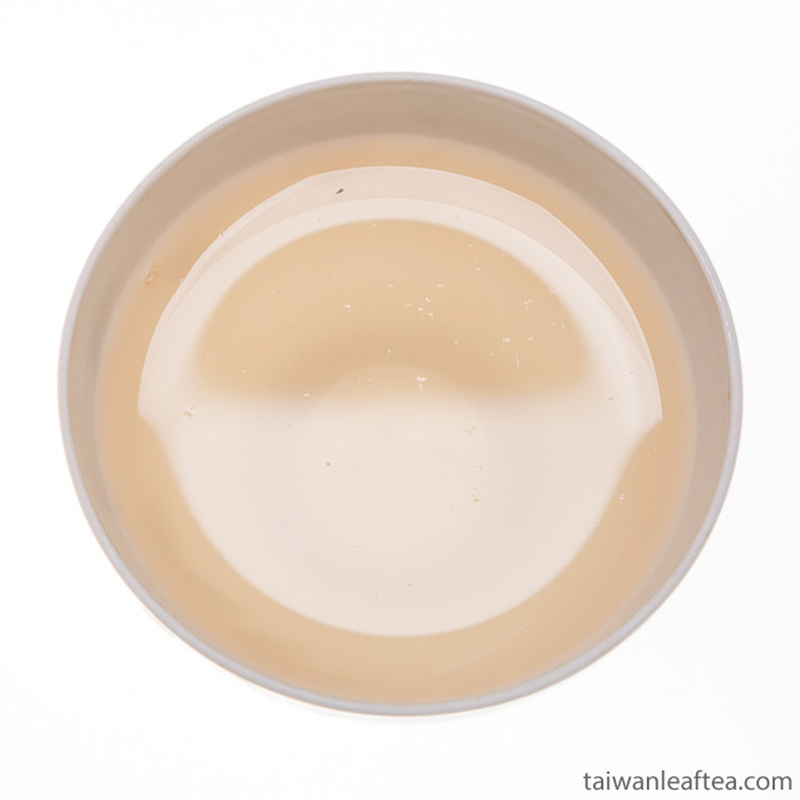 The main color of the tea infusion is light-golden, shades could be very different. 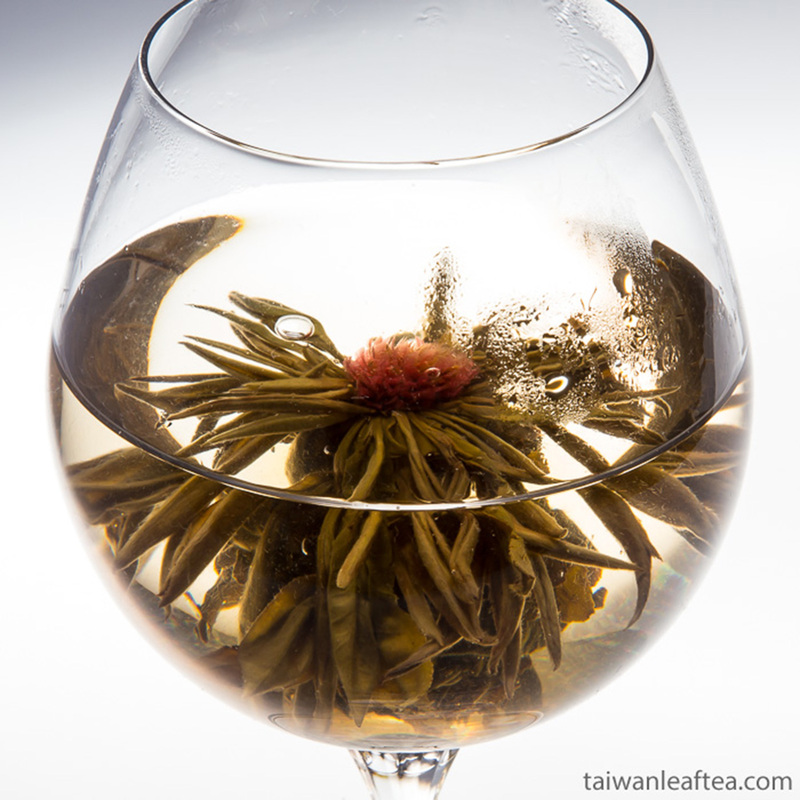 Tea has a rich floral jasmine aroma and mild sweet taste. Aftertaste is long and rich. 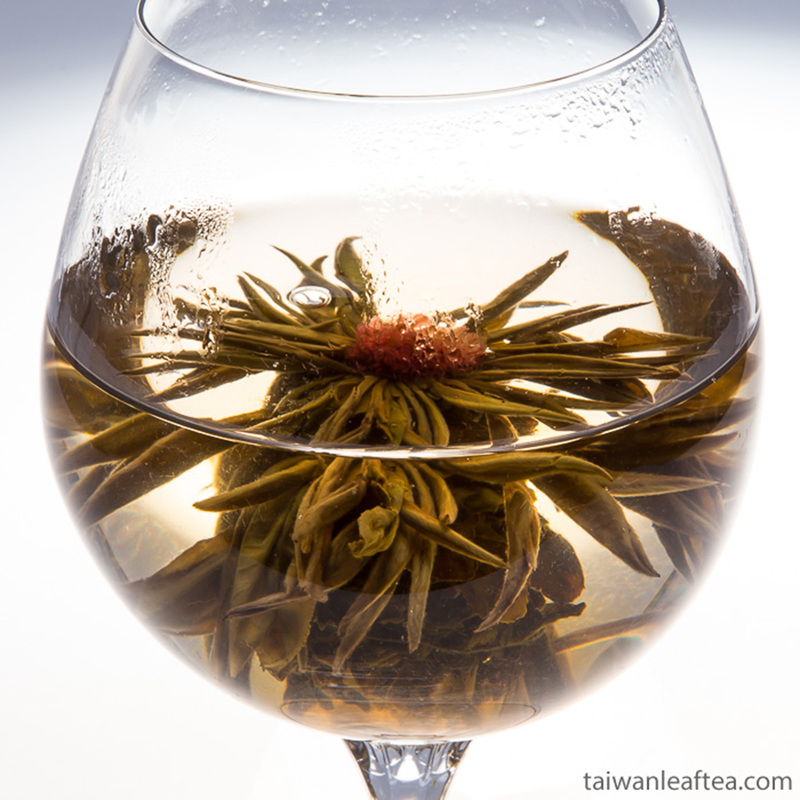 We recommend you to brew this tea 90-95°C (195-205°F), one bud per 200 ml of water. Tea can be steeped up to 3 times, each time getting a little taste more bitter. Preparation time for this position 2-3 days more, than usual.